Room characteristics include a separate living room area, a spacious bedroom, wide airy window and carpet floor that give you feel comfortable by the first time you step in to the room. Guests stay at these rooms can enjoy the great feeling of relaxation and comfort. Family rooms offer comfort and convenience in a friendly atmosphere. 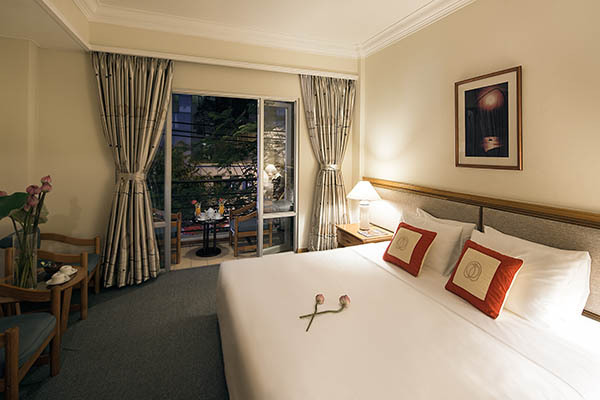 Accommodating up to 3 people in a King bed and 1 single bed.